AFTER THE ENDORSEMENT OF THE SUMMARY BY THE SECRETARY LAW DIVISION NOW THE SUMMARY IS IN THE PRIME MINISTER HOUSE FOR APPROVAL. I hope that Allah Give me a new achivevement in Up-gradation case i.e. BPS-12 to 14, 15 to 16, 17 to 18 respecitiviely. Jo Shakash Toray Per Shauker Nahi Kerta Wo Zaida Per Be Shuker Nahi Ker Saktar Mera Es Toray Per Be Eman Hai. Good News. It is hoped that approval of P.M. of Pakistan would be granted with in next few days. INSHALLAH. AP Sub ko Bahut Bahut Advance Mubarak Ho. BPS-17,that is the natural justice because ,i am on LPR,which will be completed on:30.3.2012. Dear Raihan other colleagues,If you have thorough study the case filed in FST and on its clear cut decision on 6.12.2010 that stenographers in 15/16 will be upgraded in BPS-17.The previsions decision of the Estt.Division i.e. BPS-16 for stenographer was proposal, if it was final why the Govt. filed appeal in Supreme Court which was rejected and the decision of FST still stand and now, Inshallah approval for BPS-15/16 will be BPS-17. If Finance Division does not touch the BPS-16, the stenographers in BPS-16 by virtue of selection grade they will be granted BPS-17 again selection grade, because the the same will stand continue.Hence don.t worry pray to the God who is very gracious and merciful. I hope that the prevailing record of PM for Govt. employees is helpful and PM will not discourage us. Hope for the best and pray for Mr.Khalid Riaz and PMADIT team keeping us well aware about the case and other information. My dearBrother and Colleque Ahmad Ali Sabir Chauhan,suhaib, I am very thankful to you for courragement in comments to me and as like you I hope for the best and pray to Mr.KhaliD Riaz and PMADIT team for longlife and prosperity and after the issuing of notification from the Govt:I will be invited you at my home in Peshawar as a guest for excursion .Thanks. sary kam waqat par ho rahy hain maghar hamary masly ko jan bhoj kar tool dyia ja raha hay y? 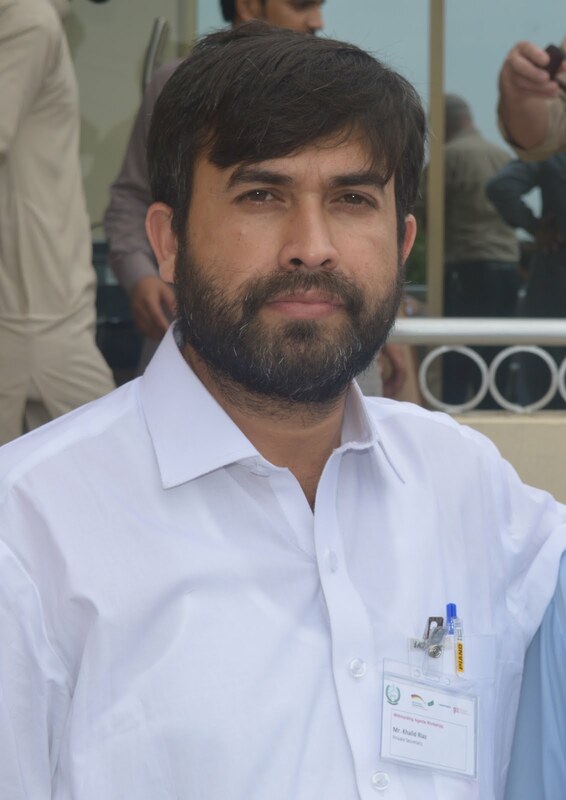 Dear Mehfooz Suhaib ,please wait a few days the struggle of the Mr.Khalid Raiz and his best team is on straight way and appreciatable and within a few days good news will be heart because the summary is reached in prime minsiter house for approval today good news . Allah Barkat Day is kaare khair me madad aur koshish karne walon ko. Thanx to ALLAH Almighty. Inshallah we (stenos) will achieve our goal under the umbrella of Mr. Khalid Riaz alongwith his team. SABAR BARI CHEEZ HE. ki Advance Mubarak ho aur Khas kar Janab Khalid Sahib aur un ki Tamam Team ko bahut Mubarak aur Salute. Ye Bahut bari achievement hy aur Allah Pak ki Khas Rehmat hy. Dear Raihan and all colleagues,AOA. 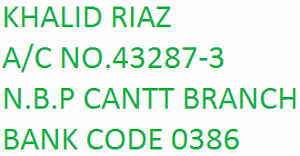 I just recall about you invitation, is it possible to celebrate the success of up gradation after completion the case in combined with Mr.Khalid Riaz and PMADIT incharge.Being a senior colleague you may take this responsibility and invite other colleagues for participation in person and financial. The Colleagues who are interested and willing should vote for this proposal. But all these be put pending till final implementation of FST decision. My dear brother Mr.Ahmad Ali Sabir Chauhan Suhaib,thanks for your good idea as and when the notificaion will be issued from the Govt:than I shall obey on your valuable views and proposal Mr.Khalid Riaz and PMADIT Incharge will also be invited because they all are local in Peshawar,but you are living in Punjab when you will come than all will be wellcome to you including myself.thanks. Dear Chauhan. I agree to celebrate the special occasion alongwith Mr. Khalid Riaz and others colleagues. During this celebration we will discuss the strategy and issues to be faced to steno community under the good command of Mr. Khalid and other seniors members. I and my colleagues in Punjab Wildlife & Parks Department appreciate the efforts for Stenographers and hope for the best. On behlf of Stenotypist, Stenographer, PA and PS of Federal Tax Ombudsman Secretariat, I congratulate all stakeholders. Mr.Faiz suhaib,your good news is appreciable Inshallah according to your statement the prime minister of pakistan will be approved the summary in light of the decision of the FST AND Honourable Supereme court of Pakistan,because he is himself an advocate and he knows much better than the over beauracy hoped that the summary willbe approved within a few days and notification will be issued very soon.Thanks. Dear colleagues, AOA,when summary will be approved you will see no comment will be needed. Avery body will stay and home,no communication will be made with each other. Don't tease, be positive,heart breaking words may not be used. Where hundreds stenos are waiting for approved summary Faiz dear I assure, you can seen. Till that please be patient, don't worry, be happy himself and care for others.Raihan bhai thanks for satisfying to Faiz bhai. Inshallah ye 1 ka hindsa jald hi 0 ho jai ga. Aur app sub ko Upgradation ki khush khabri mile gi. Aur jo Dost 14 aur 16 ma kam kar rahe hain wo bhi sabar ka daman na chorain Inshallah unki bhi upgradation ho gi lekin New Cause of Action ma. My ID is not allowed to comments on my blog. Due to this i was unable to answer your Questions. I daily check my blog and comments. The summary is now in Prime Minister House for the approval of the P.M. Soon you all friends hear good News of Upgradation. My dear brother Khalid Riaz Suhaib,thanks for your struggle and we all are very thankful to you for this act of kindness we obey your advice and we all are be careful in future uptill when we hear the good news of upgradation. I am happy to see the comments of Mr. Khalid Riaz, well done Mr. Khalid Riaz, your efforts are appreciable and you are the Hero of all Stenographers in Pakistan. I hope Prime Minister of Pakistan will approve the summary as early as possible and new year 2012 will be for Stenographer's upgradation, Inshallah. Hope we will hear good news soon, is anybody confirm me the upgradation scale for Stenotypist, is that BS-16, BS-17, BS-18 respectively. AND FROM BS-17 TO BS-18 respectively hy. Aur my dear ap abhi tak is ko confirm karnay k chakr mein hain. Bhai Jan Inshallah kuch Dino mein aap bahut bari Khush Khabri Sunain Gay. have u read/seen the comments on daily basis? Salam to all of my colleques and steno brothery. Very happy to hear that at least Summary of our Scales Upgradation reached its destination. Lets pray together and hope for the best. Warm Regards. 1. Jr. Scale Steno. = BS-12. 2. Sr. Scale Steno. = BS-15. 3. Private Secretary. = BS-16. 4. Private Secretary with BS-20 & above.= BS-17. 1. Jr. Scale Steno. = BS-14. 2. Sr. Scale Steno. = BS-16. 3. Private Secretary. = BS-17. 4. Private Secretary with BS-20 & above.= BS-18. In 2007, the scales of Clerks/Auditors were upgraded and Finance Division, Govt. of Pakistan issued notification for all over Pakistan including Provinces. I think in case of Stenographers, Finance Division will also issue notification for all over Pakistan including Provinces. It will be appreciated if Mr. Khalid Riaz clear this ambiguity through this forum making his comments. Finally, I once again request to P.M. Pakistan please approve the summary as early as possible as the limitation of Supreme Court has since been elapse. Aaj mubarak din hy aaj achi khabar mil jay ge. 12 to 14/16 ya 15 to 17-18 wali baat sachi ne. wo orders he same summary hy to Estab. ny already isssue ki thi. Dear colleagues, AOA, Have anybody seen the upgradation summary submitted to PM for approval. If, so then, he has right to comment.Actually, non of us have seen it, so it is just to throw the arrows in the air. Our comments are on those documents which are before the Khalid bhai,AGPR,KPK,FST,Law Div. and Supreme Court. The letter of Lashari Sahib, Secretary Estt.Div. was a proposal not orders which were not agreed upon and they challenge the FST decision dated 6.12.2010. Law Div. and SC had been stressed for its implementation. How we except less than that which has been declared our genuine right. I would like to say please pray to GOD for the implementation of the FST decision in letter and spirit.Seniors please not if B-14 and 16 is not even touch by the authority and ignored them it means the selection grade will stand continue and 14 and 16 will automatically upgraded in 16 and 17. Please remember this legal point.14 and 16 cann't be left without giving upgradaion or any other benefit. Dear colleagues, in all decisions of FST including its very first decision, there is no mention of grades, FST only ordered to upgrade the posts of stenos. so i am unable to understand why guys are speculating bs-12 to bs-14; colleagues Estb. Division proposal i.e 12 to 14, 15 to 16 and 16 to 17 will be finalized. however, the guys granted selection grades would be given appropriate benefit. To live in community the style of Dear Abdullah and Mani is best. I like it, because it does not create heart breaking culture. Dear Abbas may be right but we may seen our request to whom FST decide and SC finalize. Thanks and allah hafiz. Congratulation to all colleagues for signing of summery of upgradation of Stenographers by the Prime Minister of Pakistan. Stenographers at 3.50 pm today. Now, the notification will be issued on Mon 19 by Finance Division. Congradulation to all Stenos/PA/PS and Mr. Khalid Riaz and his team. AoA, sub ko mubarak ho. First of all thanks to Allah Almighty and thereafter His Excellency Mr. Khalid Riaz and his entire team. May God bless all of us.